In conversation with Hirihally Purushothama, AVP Supply Chain, Aditya Birla Retail Ltd, who spoke about GST and benefits of digitization. After the implementation of GST, retailers are in the process of consolidating the warehouses while serving the last mile consumer. They are boasting the advantages of digitization in supply chain with reducing the time and cost of delivery, reducing the manpower and increasing the availability of goods to the customers. Through omni-channel way they are bringing each store in the area of serviceability along with offering unified consumer experience. 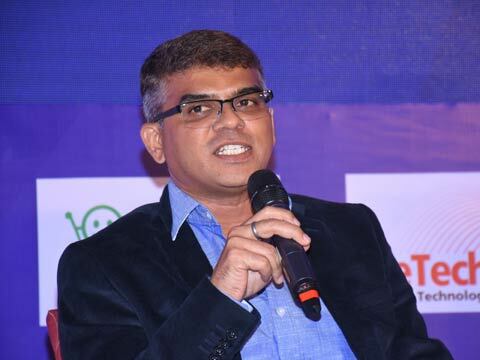 Hence, acknowledging multiple benefits of digitization and after effects of GST on supply chain, Hirihally Purushothama, AVP Supply Chain, Aditya Birla Retail Ltd. spoke to Indianretailer.com during ReTechCon 2017 in Mumbai. How is technology in supply chain helping in delivering consumer experience? In terms of experience the consumer always wants his/her product to be delivered on time, whereas on the other hand the retailers also want consumer product to reach on time. In the process with less time, the retailer replenishes his stock faster on the shelf so that the end customer gets what he/she wants which means no time wastage. We pick, check and deliver it to the store in mixed condition today. With digitalization I can pick based on carton planning in the store and I don’t have to waste time. Hence, I can not only reduce the number of people working at the store, but also can reduce the checking time. With the help of collaborative technology we can deliver to the store category by category which makes life easy at front end as well as for the end consumer who can buy any product any time with increased availability of goods across the stores. How penetration of technology in supply chain is minimizing the cost? It is minimizing the cost at the backend. The new technology which is coming in place called Pick to Light is simply going to take out large number of pickers for limited number of stores. For example there were 70 pickers for 90 stores and now this number can be reduced to 20-25 people. With this we can save the cost for the organization as well as increase the efficiency. Also, today a lot of human error happens where stock by mistake can go to another store from picker, but if we do it through the system, chances of mistakes can be eradicated. So with the help of technology in supply chain along with time saving, shrinkage and cost of manpower is going to come down, efficiency is going up and service delivery frequency to the store will increase. How can omni-channel bring each store into service ability area? This is in terms of inventory what we are talking about today. We are able to show one big level of inventory which is linked to one particular store. Let’s say If in a particular city there is a customer staying near a smaller store of a company and if the order comes to the bigger store of the same company, the consumer can get the same product in the smaller store through digitization, as it recognizes the customer pin number and directs it back. This is how omni-channel can bring each store into serviceability area. How is GST going to help with supply chain? It is a great thing happening in India at this particular point of time. The advantage of GST is that we can have consolidation of warehouses. We have a network of distribution centers across India and each of the state has its own tax rules. There are some of the stores too far from existing state locations, but might be closer to other states, but still we are forced to distribute from far away locations incurring additional cost of transportation to serve that particular last point. Now after GST is being applied instead of supplying from particular distribution centre which is at 400-500 km distance, now we can link back to 120 km which is much closer so we can start supplying. This way we can make available all the goods across all the states. We couldn’t cross tolls because of tax structure and after GST we are going to save too much of the transportation cost while being closer to the location. Therefore, there will be the consolidation warehouses, entire cost will come down and affordability will increase. But, still too many things need to be taken care with GST and next six months remains to be seen.